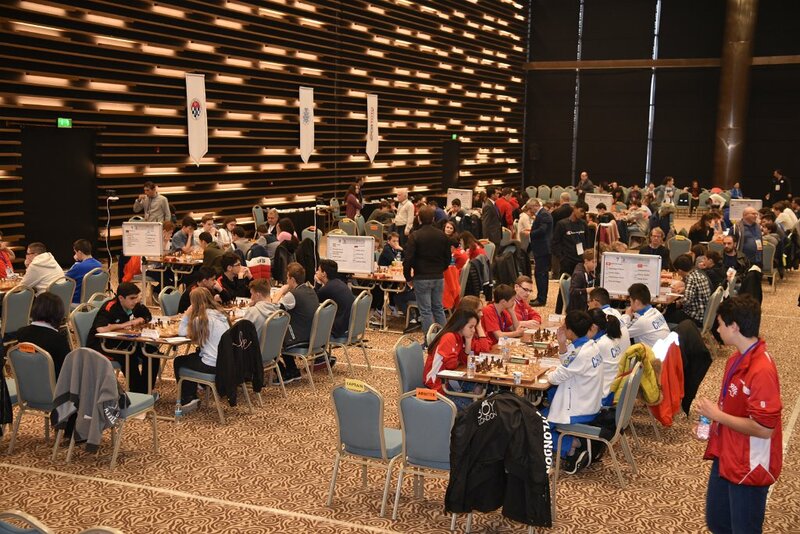 World Under-16 Chess Olympiad 2018, hosted by Turkish Chess Federation and sponsored by Municipality of Selcuklu, has commenced on 24th of November in Konya, Turkey. Team India which secured Silver in the last year’s edition is once agaain eyeing for a podium finish. 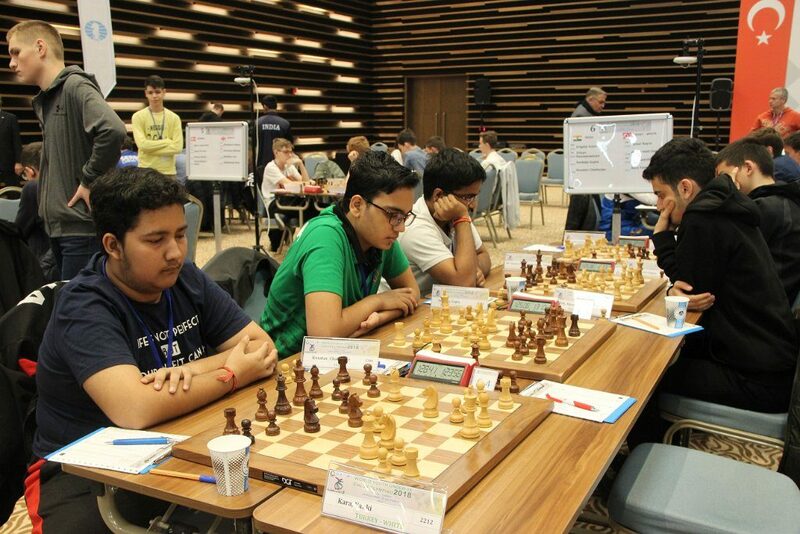 India (3rd top seed) successfully scored points in the first three rounds against Slovenia – A, Turkey-White, and Ukraine. However, the winning streak came to an end when India lost to Belarus by a slender margin of 2.5-1.5. Although Belarus is seeded a lowly 13th and appear quite underrated on paper, they played skillfully on all 4 boards and were deservedly the winners. 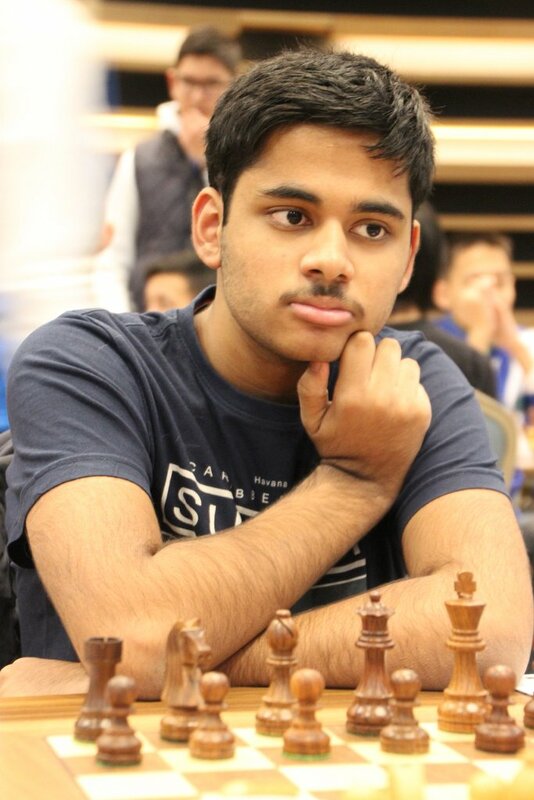 Sankalp Gupta tried to create chances with Black by playing the Benoni defense for the first time in his career. Against the fianchetto Benoni, he sacrificed an exchange to get an interesting position out of the opening. His opponent took the sting out of the position with by returning the exchange, after which the position became too liquid. IM Iniyan P. appeared to have a promising initiative out of a Queen’s Gambit Accepted. However, his opponent always ensured that she had sufficient counter-chances, and Iniyan was never really able to impose himself. 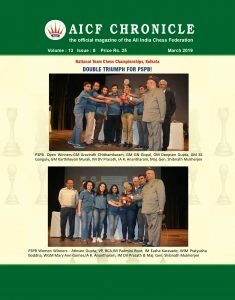 GM Arjun’s opponent seemed quite motivated from the outset and sacrificed an exchange for some very promising compensation in a French endgame. Although objectively the position was 0.00, and quite double-edged, the position was much easier to play as White. However, Arjun defended quite skilfully and even had a difficult chance to turn the tables around at one point. Looking at the favorable team situation on the other boards, his opponent decided to just liquidate the game into a draw. 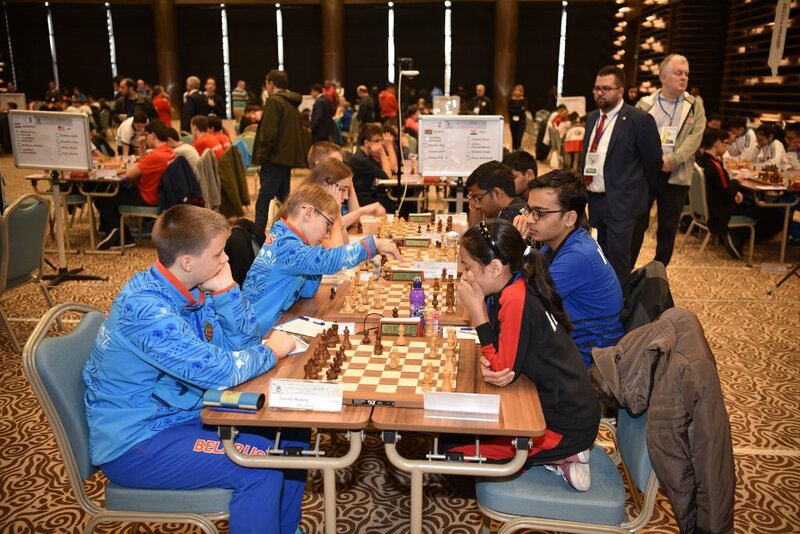 The decisive encounter was between two 12-year-olds – Tsaruk Maksim against WIM Divya Deshmukh. Divya appeared to have the upper hand after the opening after her opponent played a dubious Dutch defense. However, the advantage lasted for barely 1-2 moves when she failed to take the pawn on c5 and allowed Black to play cxd4. The resulting position was objectively equal, but much harder to play for Divya, who wasn’t able to find the accurate moves required to hold her position. She continued to fight valiantly, but could not stave off the defeat. This was the last game to finish in the round after 3 hours and 49 minutes. Team India will play against Armenia in the fourth round.